Via the Fontanar road we will arrive at this town of less than 200 inhabitants. 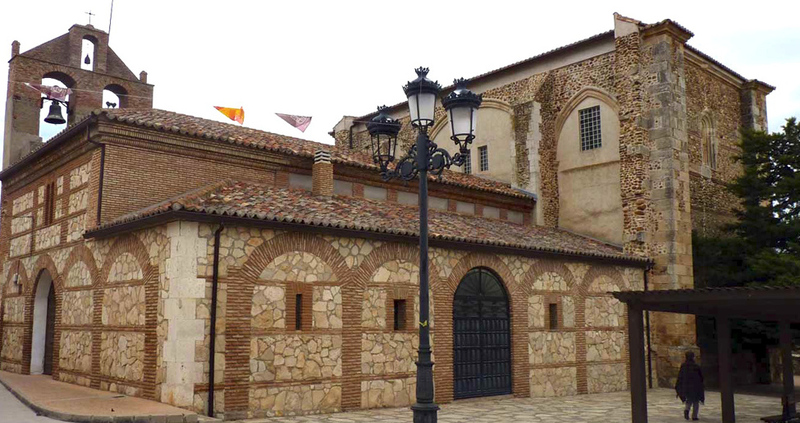 It is found in la Campiña del Henares, 24 km from the capital. Its Arab name, just as that in the Andalusian province, means factory and is attributed to the Mozarabic people who fled to these lands in 1125. The highlight of this town is its parish church with a marvelous artistic treasure inside. The church of the Holy Infant Martyrs was built in the 16th century. Pedro Medinilla began it and Juan Ballesteros would be in charge of finishing it. Upon doing reforms in 1976, within one of the walls appeared a beautiful Romanesque carving of the Virgin Mary, which is currently displayed in the church as its main touristic attraction. It is free to enter, respecting the hours of religious worship. This lovely town has an important tradition of pottery thanks to the Barrios family, its main producer. The large quantity of pieces that they made had it competing with the potters from the capital. Their specialty was pitchers.